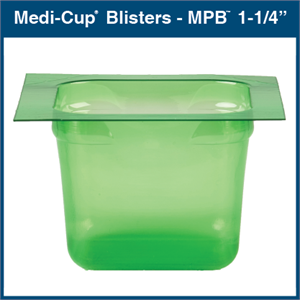 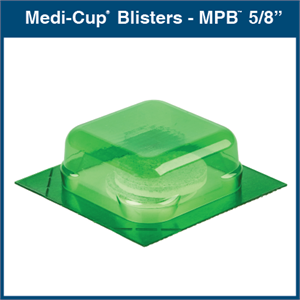 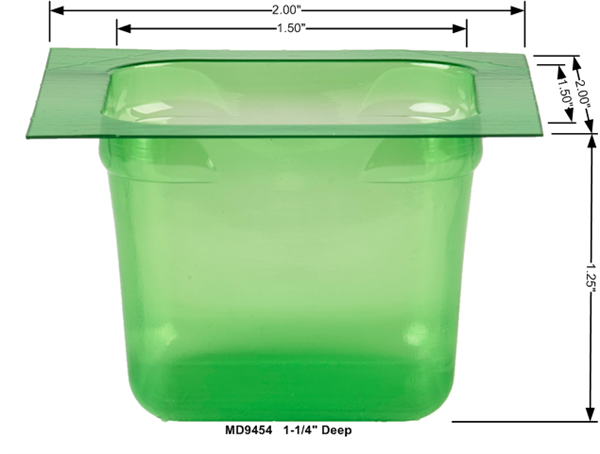 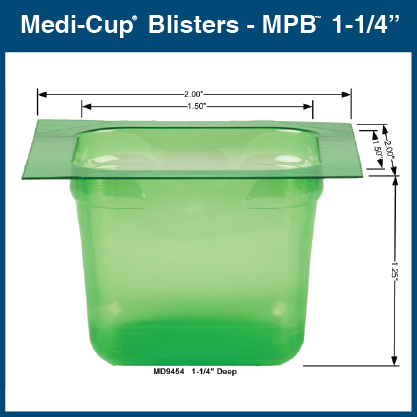 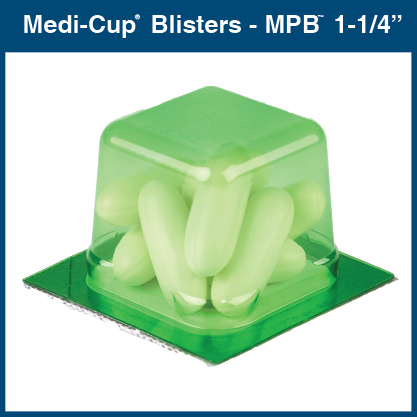 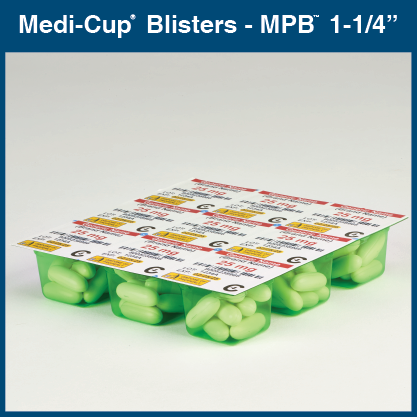 Medi-Cup Blisters - MPB 1-1/4"
Creates a Tamper Evident, Moisture Resistant Package. (All packages conform to USP 41 Total Package Testing Method). Building on our over 45 years’ experience in the field, our new versatile Multi-Purpose Blisters enable you to easily package, label and secure even more sizes and types of meds. 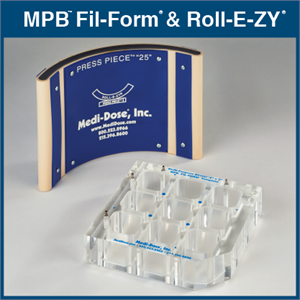 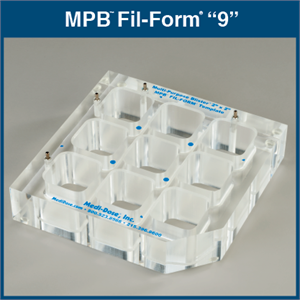 Large medication, compounded and USP <800> drugs, double and triple “0” capsules, unit of use packaging, repacked meds and suppositories are just a few of the medication forms that can be accommodated with the new MPB. All Multi-Purpose Blisters are tamper-evident, moisture resistant and ultraviolet inhibitant. 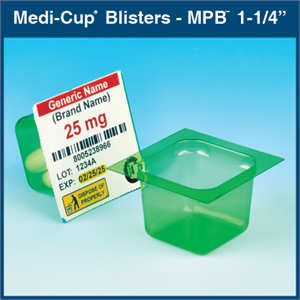 Each blister has a 2” x 2” label and is available in either 1-1/4” or 5/8” depths to suit your packaging and storage requirements. 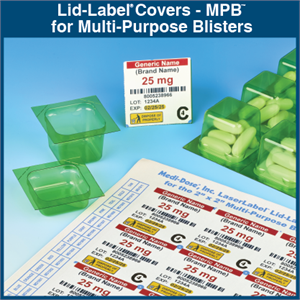 Flexible label formatting of the MPB labels is compatible with the company’s MILT 4 software.